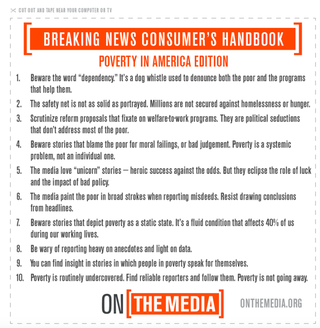 On the Media has an excellent report on the myths surrounding poverty this week. Really worth a listen. Note: A former GTer, who stirred some controversy, is among those interviewed. This was before my time in this community, but I thought I should make note of it.